Discussion: The review focuses on six application of radiology: Medical Ultrasound (US) for fetus development, US Computer Aided Diagnosis (CAD) and detection for breast, skin lesions, brain tumor MRI diagnosis, X-Ray for chest analysis, Breast cancer using MRI imaging. This survey identifies the ML approach with better accuracy for medical diagnosis by radiologists. The image denoising approaches further includes basic filtering techniques, wavelet medical denoising, curvelet and optimization techniques. In most of the applications, the machine learning performance is better than the conventional image denoising techniques. For fast and computational results the radiologists are using the machine learning methods on MRI, US, X-Ray and Skin lesion images. The characteristics and contributions of different ML approaches are considered in this paper. Conclusion: The problem faced by the researchers during image denoising techniques and machine learning applications for clinical settings have also been discussed. 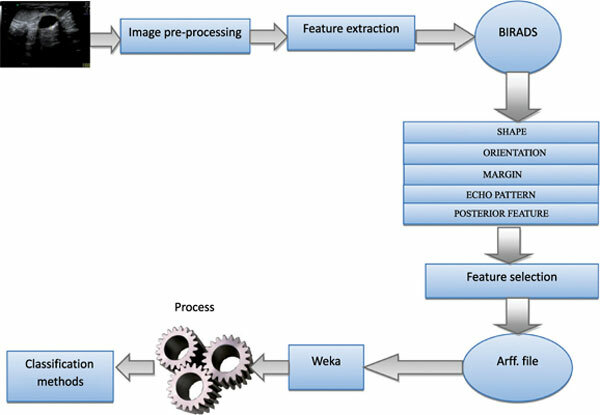 Image denoising, ultrasound, filtering techniques, classifiers, wavelets, curvelets, data mining methods.